About 2 weeks before Christmas I started running trails more often again and I'm happy to be back. Boy, how I had missed the dirt. 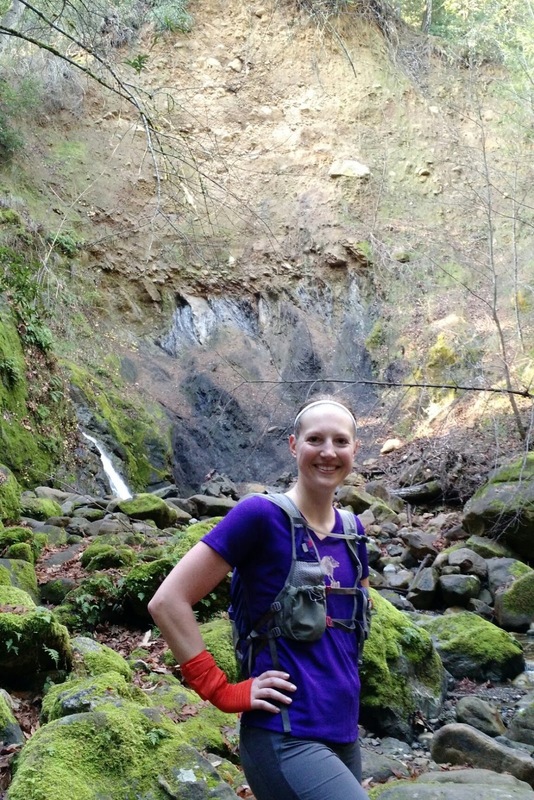 It's amazing how much more inspired I feel by running on trails, being in the trees, and climbing to awesome views. 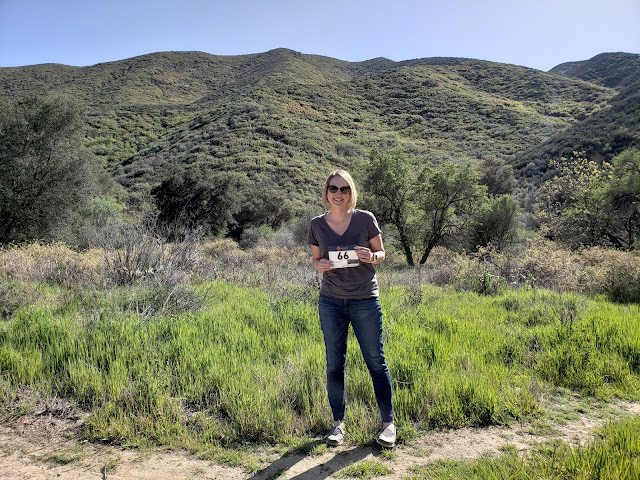 This past long weekend I visited two new parks that were each fantastic in their own way. 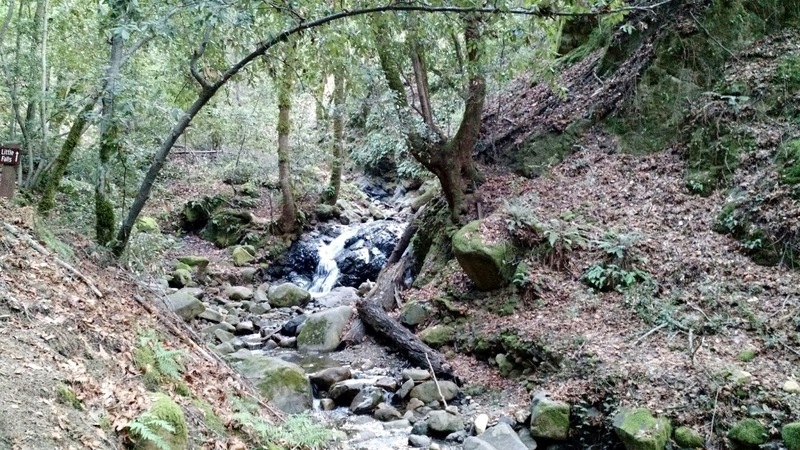 I went to UVAS Canyon in Morgan Hill, CA, with Go Far on Saturday to enjoy the little waterfalls and creek along the trails. I felt like we were in a rainforest. 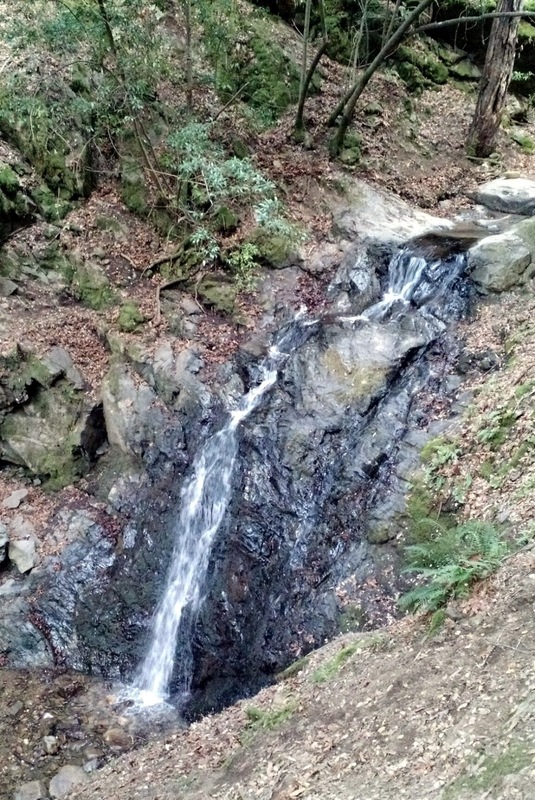 Little Falls in UVAS Canyon. Another waterfall that would be bigger with rain. 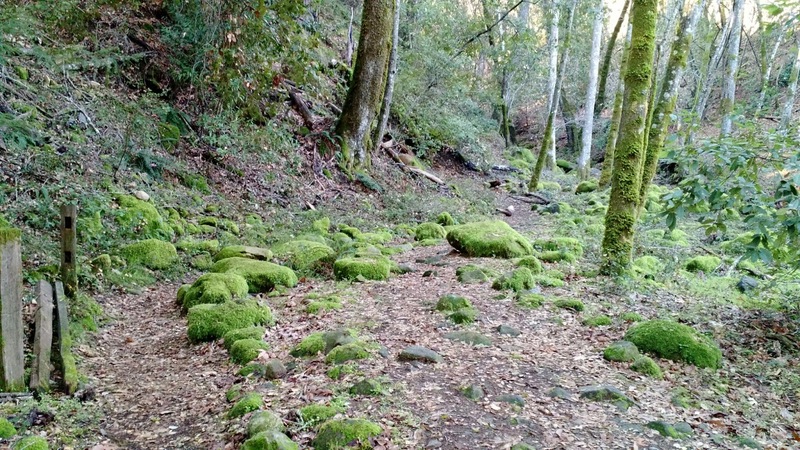 Loving the moss covered rocks and trees. 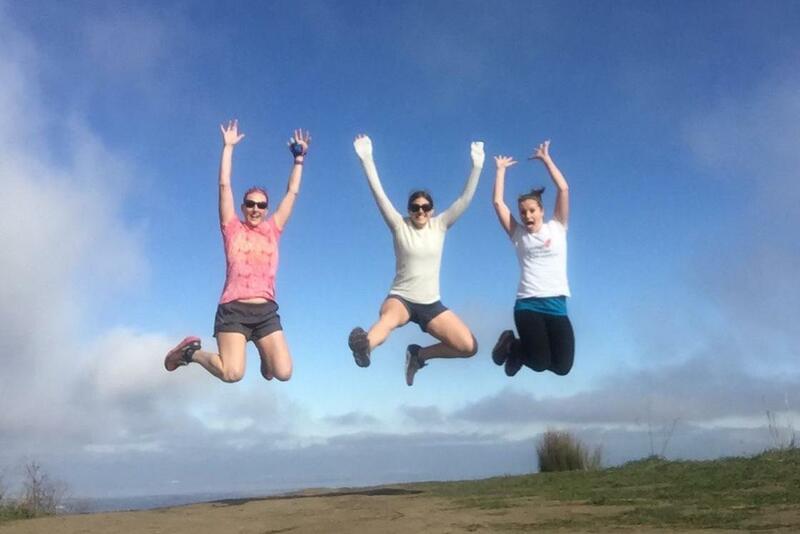 On Monday, I climbed to the top of Windy Hill Open Space Preserve with Sophia and Laurel. It's about 1400 feet in 3 miles so it definitely feels like a climb, but the way back down is really fun and the view is worth it. 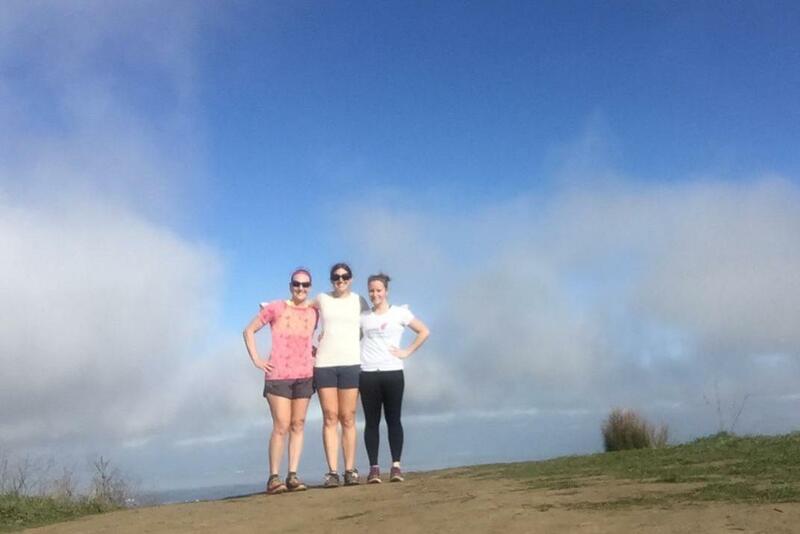 We only took photos right at the top and not on the way up. 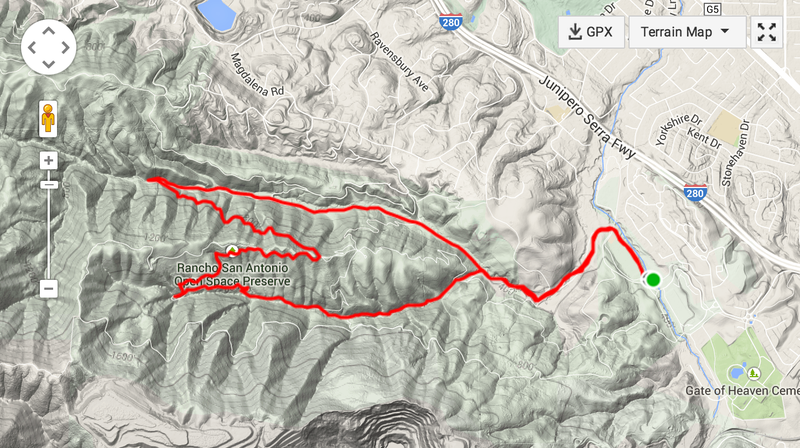 The plan is to hit Rancho again for Saturday's long run, and I'm looking forward to it. Next weekend we are heading to SoCal for the Surf City Half Marathon, and after that I may try to add in a couple of shorter trail races. Beautiful trails! I'm looking forward to more trail runs after Kaiser. Found your blog through Running n Reading. 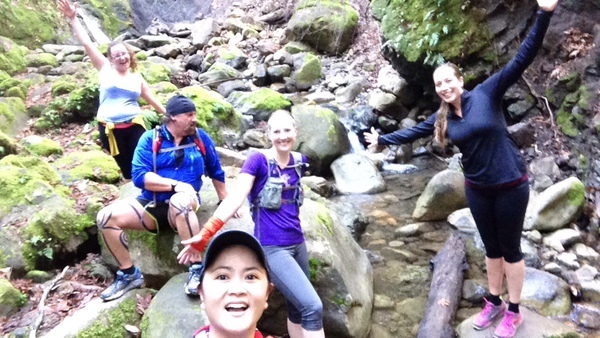 I really want to do more trail running this year. Love all your pics, they look like some amazing trails!